What a neat item for that Ancient Worlds lover. 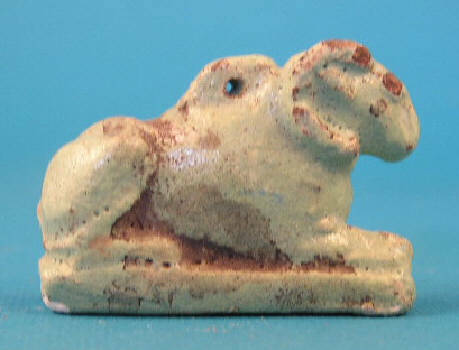 This is a wonderful Ancient Egyptian faience amulet of Ram God Khnum. 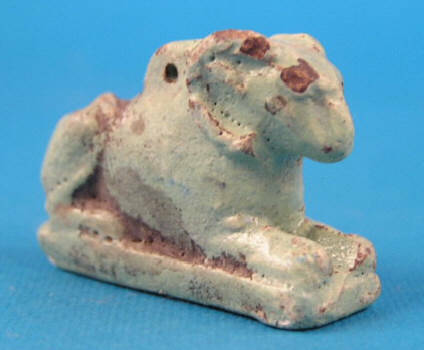 This marvelous piece is dated Late Period and shows Khnum in ram form in a seated or reclining position. This is a rare item and winning bidder will truly marvel at the power and beauty behind this piece. There is a hole for strining this marvelous amulet. 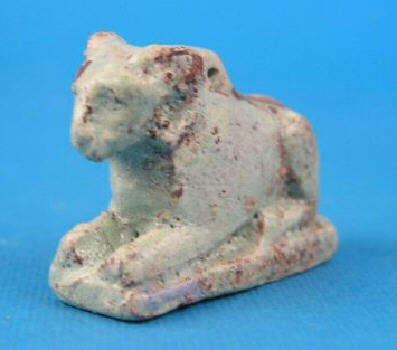 Made from faience with a pretty greenish blue colored glaze applied. You will not find another one like this so bid accordingly.